Protect your young trees against damaging string trimmers, gardening tools, rodents and small pests with the Tree Trunk Protectors (3-Pack). Constructed of 100% recycled plastic, the round tube form blends with most tree bark, supports itself and will not lose its shape in the sun. The tree starter kit offers the perfect start for your new tree. This great offer includes our Oasis tree watering bag, heavy-duty tree stakes, and the all encompassing tree guard. This great value paired with Around the Home and Farms dependable quality will guarantee your trees get the right start to a healthy life. Watering your trees has never been easier with our newly improved Oasis Tree Watering Bag. Now you can distribute approximately 20 gallons of water while conserving resources (water & time) as the water is directly absorbed into the root system, ensuring your tree receives the water it needs to thrive. For larger trees you have the ability to zip multiple bags together to create an application for every situation. 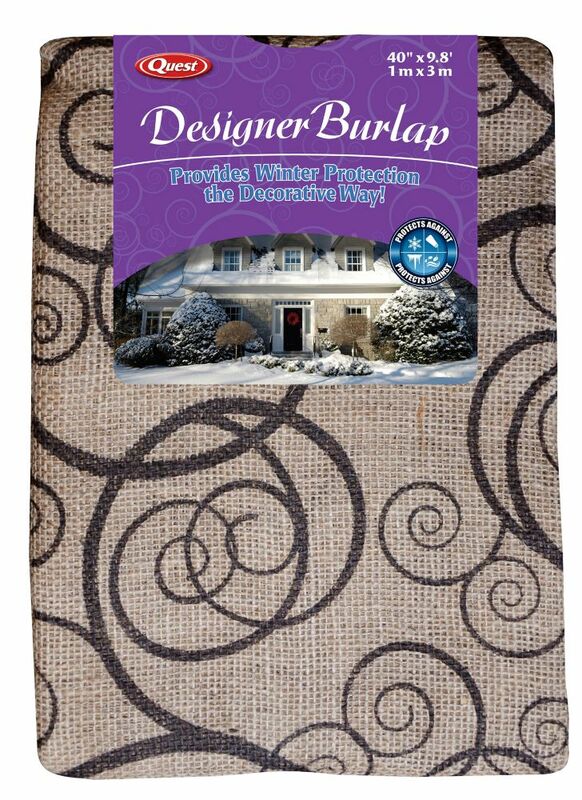 A sturdy cover of woven green polyethylene for protecting your shrubs and small plants from snow during the winter. Installs over a flexible fibreglass frame, and includes 4 plastic stakes for anchoring to the ground. Folds up or dismantles easily for storage.